Johann Sebastian Bach: Giant of Baroque music, father of twenty children, model worker and man of sentiment. It is no wonder that a keyboard piece found in a notebook of his wife was wrongly attributed to him. The score in question is known as "Minuet in G" and is found in a notebook Bach gifted to his second wife, Anna Magdalena. Originally thought to be an original composition by Bach, it has, since 1970, been discovered to be the work of Christian Petzold. Bach gave Magdalena two manuscript notebooks, one in 1722 and the other in 1725. The latter, in addition to being bigger, was also embellished in a baroque, opulent manner, not unlike Bach's music. While Bach did contribute a few musical scores to the 1725 notebook, the bulk of the material found within it was painstakingly compiled by Anna Magdalena herself. Two sons, Johann Christian and Carl Philipp Emanuel, as well as a handful of close family associates, also helped to record scripts that appealed to the Bach family at that time. Indeed, the 1722 and 1725 compilations serve as a mirror to the style of music that was popular in Germany of the period. It is not known whether Christian Petzold, a contemporary of Bach, knew the Bach family on a personal level, or had his work honourably saved in Magdalena's 1725 collection merely because it was much appreciated by her household. The delightful tune of "Minuet in G" has proven to be enduring. In 1965, the melody was used in a song named "A Lover's Concerto", which made its way into the second spot of America's Billboard Top 100 chart. With touching lyrics created by songwriter duo Sandy Linzer and Danny Randell and a soothing rendition by US band The Toys, the song proved to be wildly popular not only in the United States, but in Canada and Britain as well. Its album achieved sales in excess of two million and was awarded gold record status by the Recording Industry Association of America. What is interesting to note is that "Minuet in G" utilises quadruple metre, while "A Lover's Concerto" is sung in triple metre. The Toys' original song has spawned plenty of covers in the intervening years by music luminaries such as the Supremes, Cilia Black, the Delfonics, the Fleetwoods, Tight Fit, Leslie Uggams and Sarah Vaughan. It has been translated and performed by singers as far off as Finland and Spain. Closer to home, in the Asia Pacific region, Hong Kong idol Kelly Chen has also given her own interpretation. "A Lover's Concerto" also features prominently in a number of films. In "Electric Dreams", a romantic comedy released in 1984, an architect named Miles, his personal computer (dubbed "Edgar") and a beautiful cellist called Madeline form a love triangle! After listening to Madeline practice the melody of the song, Edgar attempts to synthesise an alternate rendition. What initially starts as a challenge ends as a complement to Madeline's play. Madeline wrongly believes that Miles was the one who joined her recital, leading to a series of misadventures. Madeline's and Edgar's duet, recorded as "The Duel" in the movie soundtrack, was conceptualised and produced by Giorgio Moroder. Moroder is a maestro of electronic music and also composed "Together in Electric Dreams", the theme song of the movie and a retro classic. The shared history of "Minuet in G Major" and "A Lover's Concerto" is touched on in the 1995 movie "Mr. Holland's Opus", taught by the eponymous Mr. Holland to his high school music class. However, since the scene takes place in 1965, he gives the wrong information to his class, citing Bach as the author of "Minuet" (as was widely known) instead of Petzold. "A Lover's Concerto" also appears in the 1986 cartoon feature "The Adventures of the American Rabbit", performed by a central persona as part of a keyboard instruction. As mentioned earlier, Kelly Chen did a cover of "A Lover's Concerto" and her version appears in the 1998 Chinese film "Anna Magdalena" as its signature tune. The movie itself is evidently named after Bach's beloved partner. In it, Chen plays a beautiful woman who enters into the lives of two friends, played by heart-throbs Aaron Kwok and Takeshi Kaneshiro. The movie is separated into four distinct parts or "movements" like a minuet; with two themes, a duet and a series of variations. Each is part is separately titled. The first introduces Kaneshiro's character. The second shows Kwok's influence on his quiet life. The third marks the entry of Chen and how it impacts both men. The final movement re-interprets what has transpired so far into a fantasy sequence conjured by Kaneshiro's character, who is an aspiring writer. Bach shared an affectionate relationship with Anna Magdalena. It is thus fitting that a melody found in a notebook he bestowed upon her would give rise to so many romantic derivations in popular culture, including a movie bearing her name. Pianovers Talents is all about supporting our fellow aspiring musicians progress and advance in their pursuit of musical passion, take to the stage and realise their dreams of performing at a recital, by providing them with the formal recital environment and authentic performance experience. 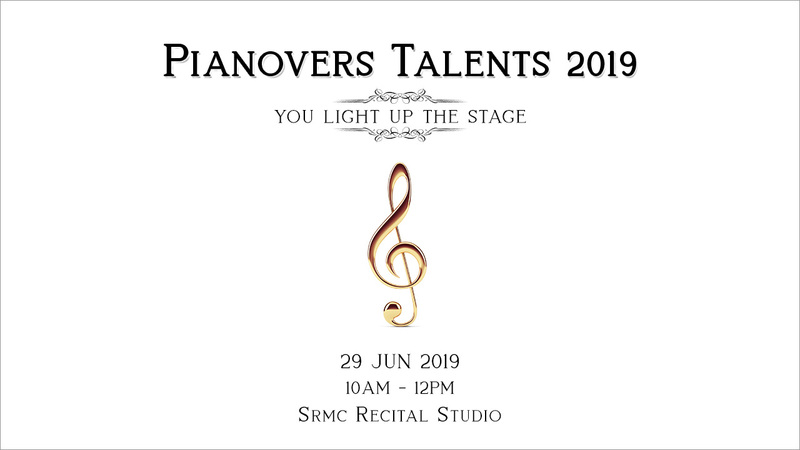 Whether you want to boost your confidence in public performances, have a dress rehearsal for your upcoming exams and recitals, or build a bigger performing portfolio, Pianovers Talents is for you! What Is The Meaning Of Richard Clayderman's Mariage d’Amour? 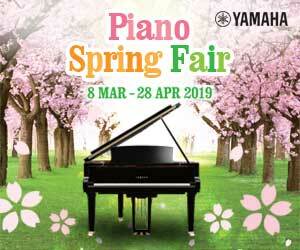 What Is A Piano Register? Why Does Piano Have 88 Keys? Can the Mozart Effect help to produce smarter babies through piano classical music? What Is An Ear-Worm, And How Do You Stop It? Are You Tone Deaf? Do You Have Amusia? Music when healthy, is the teacher of perfect order, and when depraved, the teacher of perfect disorder.